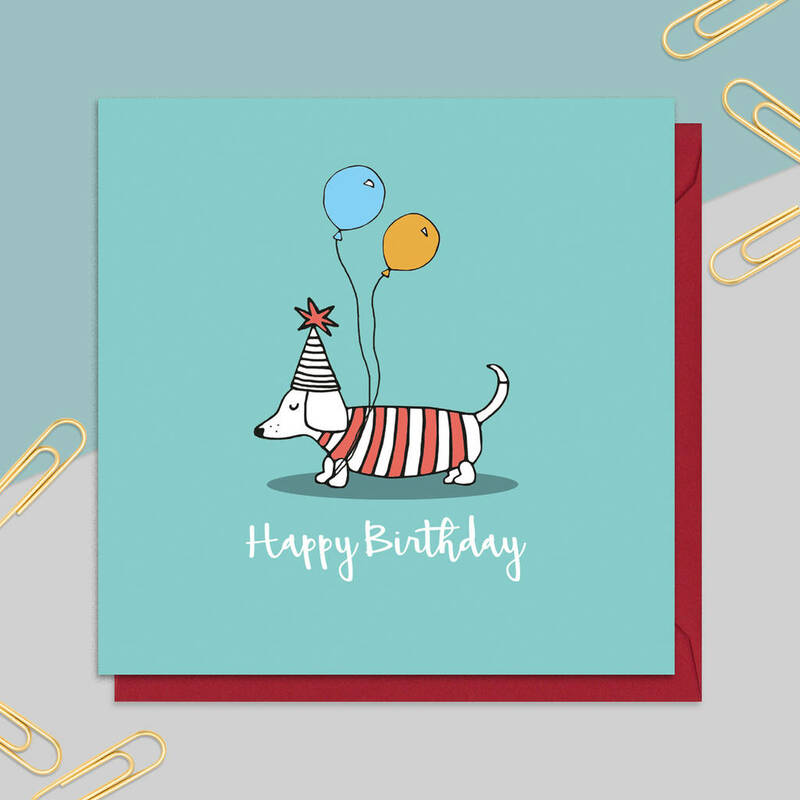 This is a quirky, illustrated card feauring a dachshund and the words 'Happy Birthday'. The card has been left blank inside, comes with a brown envelope and wrapped in cellophane packaging. Each product in the Neon Magpie range has been designed and hand illustrated by Megan and Chris. We then take these illustrations and digitally colour them so that they are ready to print. All our cards are printed on recycled paper. 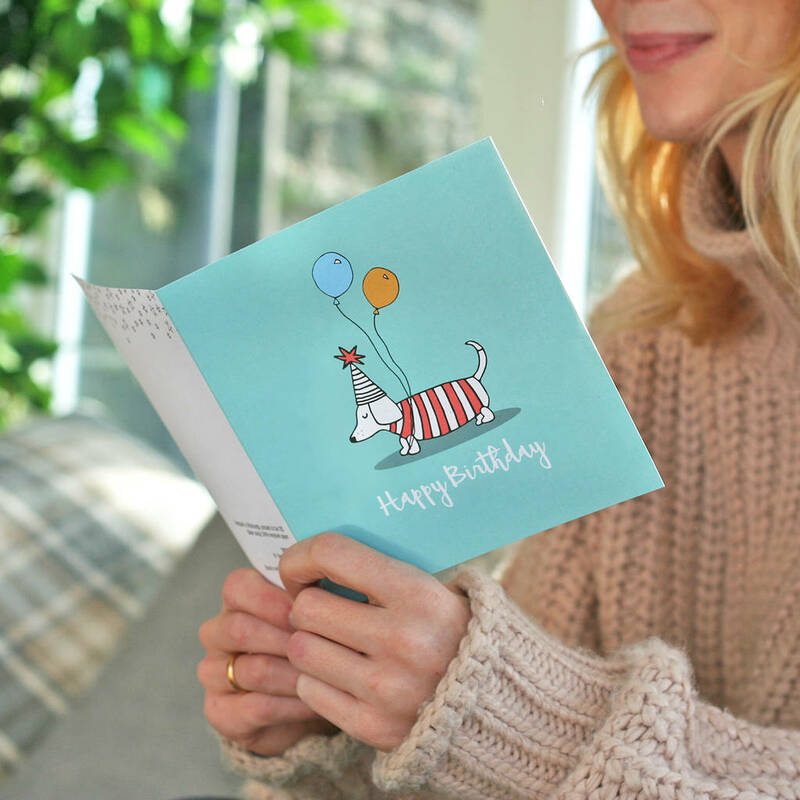 Every card you buy from us helps to fund the fantastic efforts of the Woodland Trust in protecting and creating our beautiful native woodlands.